Out of Africa, Seven Gothic Tales, Shadows on the Grass, "Babette's Feast"
Karen von Blixen-Finecke (17 April 1885 – 7 September 1962), née Karen Christenze Dinesen, was a Danish author also known under her pen name Isak Dinesen. 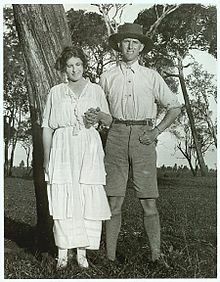 Blixen wrote works both in Danish and in English. She is best known, at least in English, for Out of Africa, her account of living in Kenya, and one of her stories, Babette's Feast, both of which have been adapted into highly acclaimed, Academy Award-winning motion pictures. In Denmark she is best known for her works Out of Africa (Danish: Den afrikanske Farm) and Seven Gothic Tales (Danish: Syv fantastiske Fortællinger). This page was last changed on 15 November 2018, at 06:06.